When you have the opportunity to share the final golf course ever designed by Robert Trent Jones Senior and Junior, a course that reflects the best from the courses they built around the world, you get excited. We'll give you a couple of options to tour Celebration Golf Club. Before you step up to the first tee at Celebration Golf Club, you might want to experience our driving range - and experience is the best word because you can make quite a splash on our aqua range. The greens are really islands. It's a great way to sharpen your game and not worry about water hazards. We offer a practice putting green and a practice chipping hole so you can bring your game up to par. Please call 407-566-4653 for current rates. 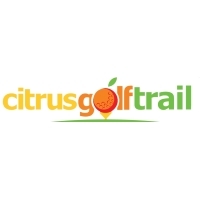 Call 407-566-4653 for rates and tee times. Contact Celebration Golf Club at 407-566-4653 for more information and details on holding a golf outing at the course. Contact Celebration Golf Club at 407-566-4653. Contact Celebration Golf Club at 407-566-4653 for onsite or nearby dining options. This profile was last updated on 08/29/2018 and has been viewed 5,936 times.